The typical use cases for NuGet may involve the NuGet Client inside Visual Studio or the NuGet.exe, but of course you can use the same functionality via code. 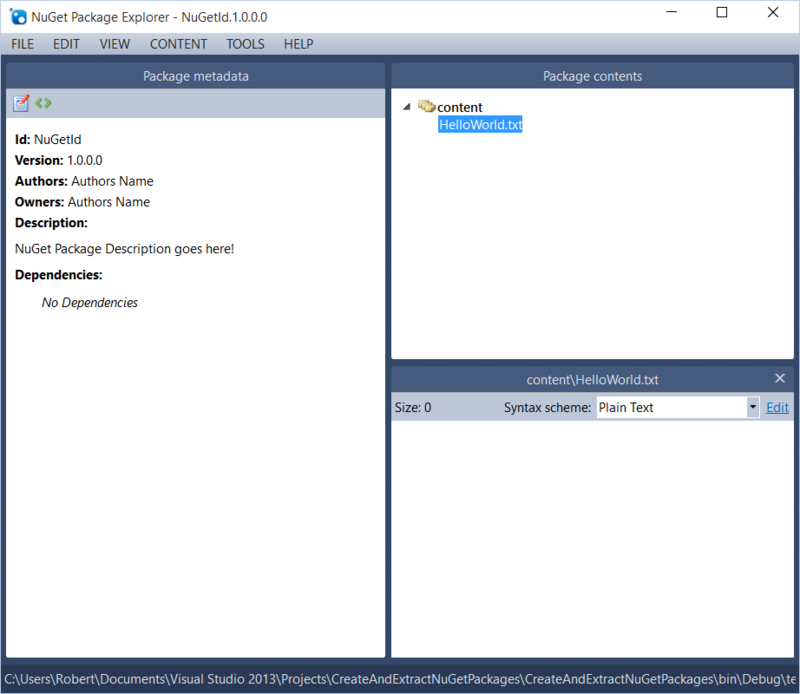 NuGet - as a package format - can be used for many different things, for example Chocolatey and Squirrel are using NuGet to distribute and update software. 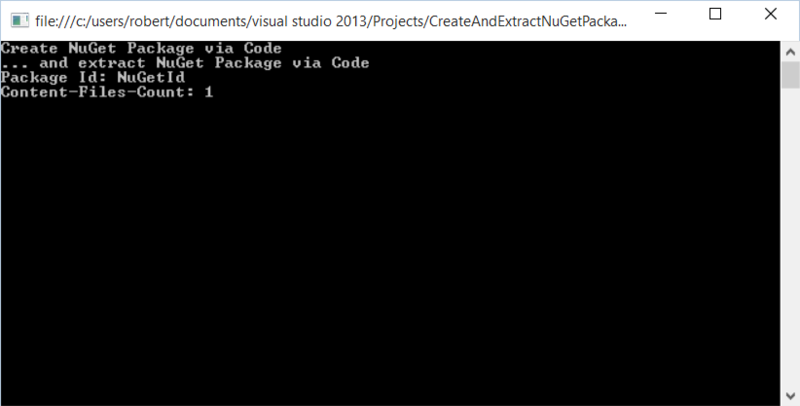 All you need is the NuGet.Core NuGet-Package. This package seems to contain the logic to create, read and load packages, which is (more or less) the most interesting part of a Package Manager. So, let’s take a deeper look. The first lines defines the NuGet Metadata, then we just collect files in a folder called “DemoContent”, which is included in the sample. As already mentioned: NuGet can be used for all kinds of “packaged content”. The good part of using NuGet is that you can use a wide range of tooling around it - like the NuGet Package Explorer or the NuGet.Core library.